Why Do Soffits and Fascias Matter? Most homeowners don’t give the functionality of their roofs a great deal of thought on a regular basis. As long as they are not leaking and don’t have any problems, such as mold patches, that are visible to the naked eye, they are typically not on people’s minds. It is, however, important for you to understand how and why your roof works. This will help you take better care of it and make sure you notice any potential problems more promptly than you would have without any education on the topic. Roofs are comprised of numerous components. Almost everyone knows what shingles and flashing are, but soffits and fascias are less well-known. They are, however, just as crucial to how well your roof performs over time. 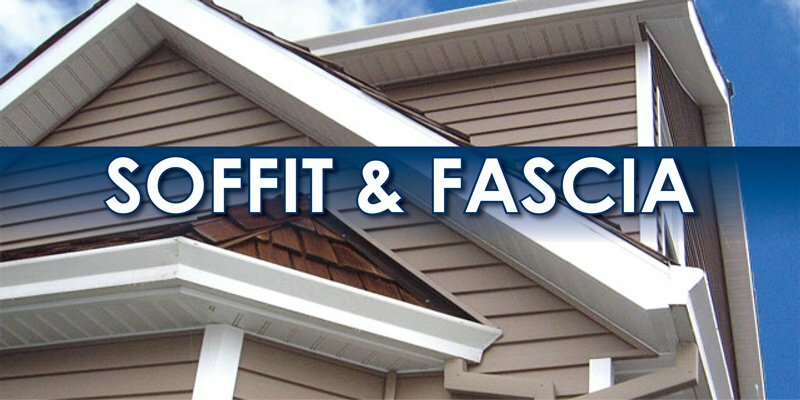 As you read the remainder of this article, you will learn more about why soffits and fascias actually matter and why you ought to pay attention to yours in case they start to deteriorate or experience problems. Soffit vents, which are installed on the bottom side of roof edges, are designed to allow for proper roof ventilation. Ventilation, as you may already know, is a crucial aspect of overall roof functionality. If moisture is not allowed to escape from your home’s attic or upper-story rooms, you could experience a variety of issues, including mold infestations, deteriorating shingles, and damaged gutters. Soffits allow cool outside air to circulate strategically through spaces like attics, kitchens, and basements, where the indoor air is often damp and warm. Fascias are installed on the outside edge of a roof, along its eaves. Their primary purpose is to make sure gutter systems stay securely in place. While this might not seem like a big deal, it plays a major role in whether or not your roof functions as it should. Without fascias, gutters can easily become disjointed and cracked; they can even fall out of place completely and dangle in the air. When any of these problems arise, water will not flow off of your roof, ultimately leading to the moisture issues addressed previously. How do soffits and fascias work together? As a pair, soffits and fascias keep your roof looking great and functioning correctly. While their collective primary purpose, of course, is to prevent moisture from negatively impacting your roof, they also provide a finished look to houses. Structures that lack soffits and fascias have a raw, incomplete aesthetic. It is important to have your entire roof inspected each year in order to make sure it’s in good working order. A qualified professional will be able to help you understand problems before they become serious and make the necessary repairs quickly. If it’s time for your roof to undergo an inspection, let the team at Hatch Homes handle the job. Our experts will make sure your roof is fully assessed and that every issue is repaired in a timely fashion. We know how important it is to have a safe roof that will keep your family warm and dry for years to come.